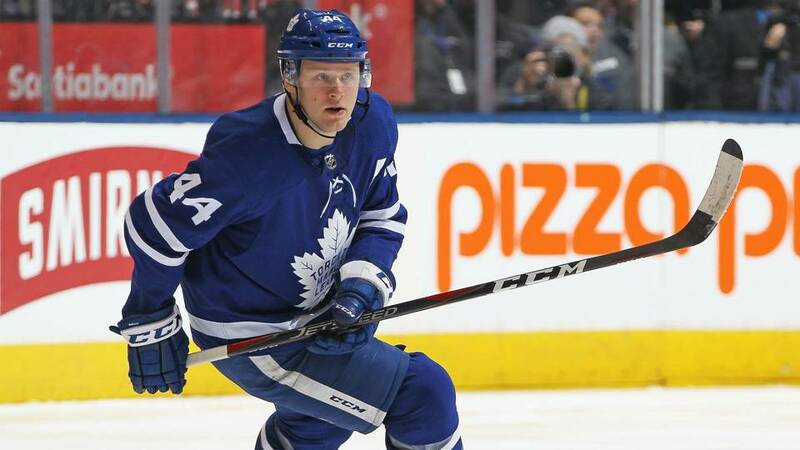 Morgan Rielly – Selected 5th overall in the 2012 NHL Entry Draft. Nikita Zaitsev – Signed as a European free agent in 2016. Ron Hainsey – Signed as a free agent in 2017. Connor Carrick – Traded to Toronto in 2016. Most noticeably in scoring production are Jake Gardiner and Morgan Rielly. Both scoring 52 points as defensemen. Rielly has a negative +/- but I think that relates to that he’s playing against top players every night and it will affect how you play. Ron Hainsey, Travis Dermott, and Nikita Zaitsev coming off very high years. Better than they are credited. Travis Dermott coming off a strong debut season playing only 37 games. He starred on the 3rd pairing with Roman Polak. Only reason I see him this high is because he was paired with Polak. We’ll see how well he does next season. Lastly, Connor Carrick. I personally think that he should have been in instead of Polak. He’s much faster, can play better defensively and can play physical. I thought Babcock overused Polak. Toronto’s defense in my opinion should be considered a bit over average. An average defense lineup should defend well and score points but not too much. Toronto’s is highly underrated. People think we have the worst defense in the league because Gardiner makes a mistake in game 7. Well, those people clearly know nothing about hockey. The Leafs defense lineup finished with a combined 165 Pts and a +46 +/-. That’s pretty good for a “worst defense lineup in the league.”. Forgot to mention 2 of the “bad” defensemen combined for more than half of the total points scored by the lineup. Last thought before the next paragraph, DO NOT PLAY HAINSEY ON TOP PAIRING MINUTES.